Apple released the latest update to its iOS operating system just the other day, and already a handful of coders have discovered signs unique to dual-core processors… which we may be seeing in the fifth iteration of Apple’s iPhone. The iPad 2 is the first iOS device to ship with the A5, Apple’s new dual-core processor that succeeds the A4. The A4 had been released first on the iPad before making its way to the iPhone 4, iPod Touch, and Apple’s unique television. 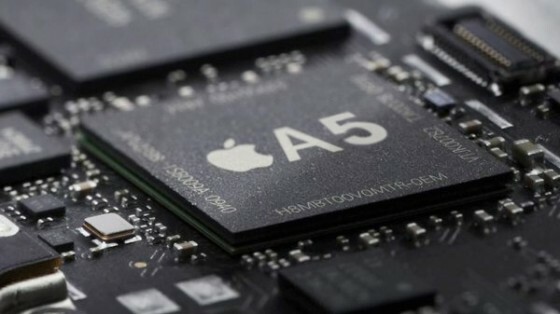 Riffing off the discovery of the A5 processor’s code name within iOS 4.3’s code by Chronic Dev group member Chronic, iOS developer Filippo Bigarella found mention of “N94AP,” coding that signifies a yet-to-be-released iPhone based on past device code names. The N94AP mention was then linked up with “S5L8940,” the name for the A5 processor within the iOS code. Is this a definitive sign the iPhone 5 will sport a dual-core processor? Probably not, but it would jibe both with last year’s processor refresh pattern of the iPad’s chip trickling down to other iOS devices, and advanced notice of other Apple products from within development code. That was most recently the case with the Verizon iPhone, which was referenced in iOS 4 code back in August, several months before the Verizon counterpart was officially announced.